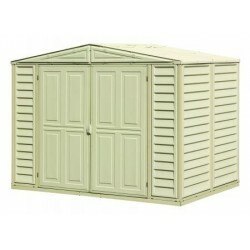 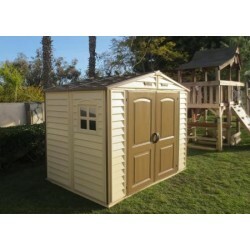 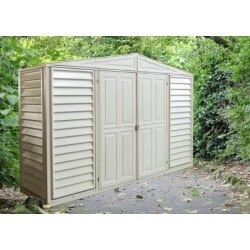 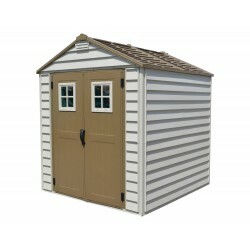 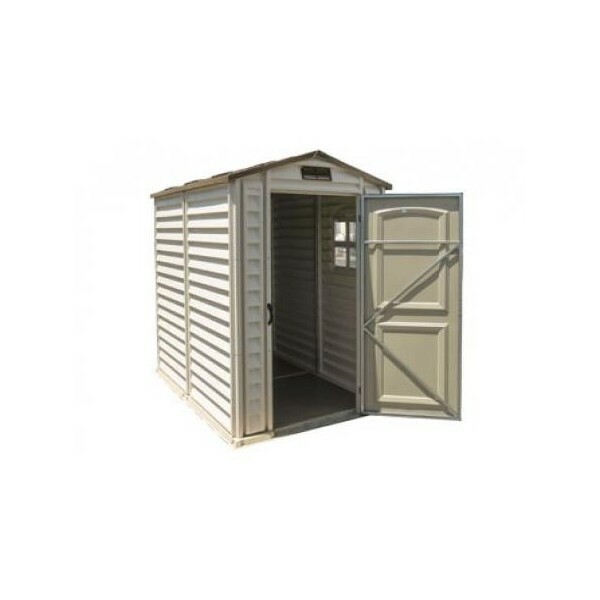 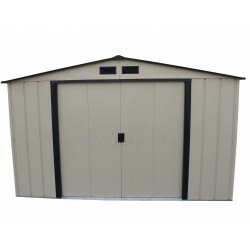 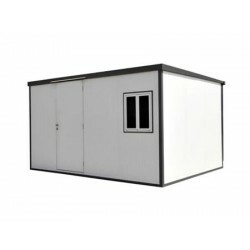 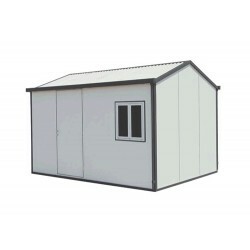 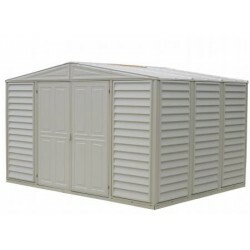 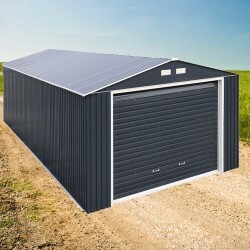 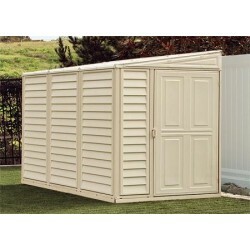 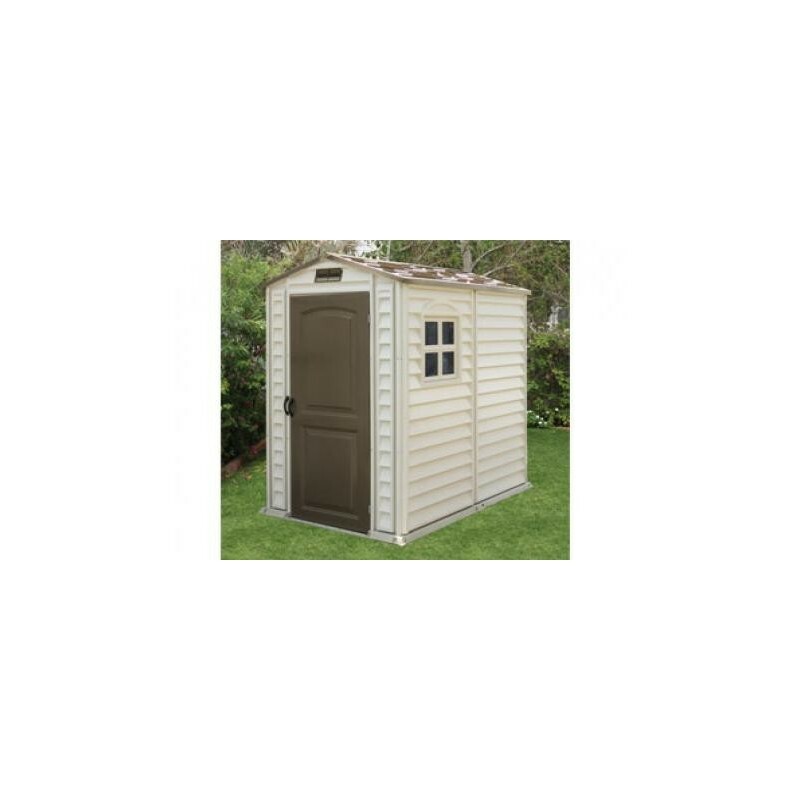 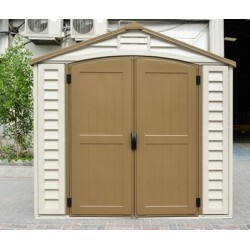 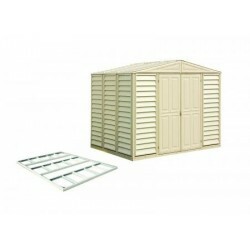 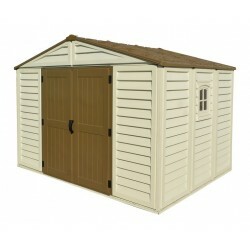 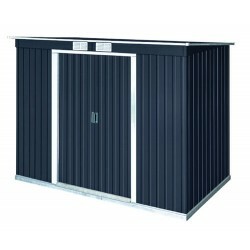 Our ShelterPro Vinyl Shed Series gives you the ideal solution for all your storage needs. 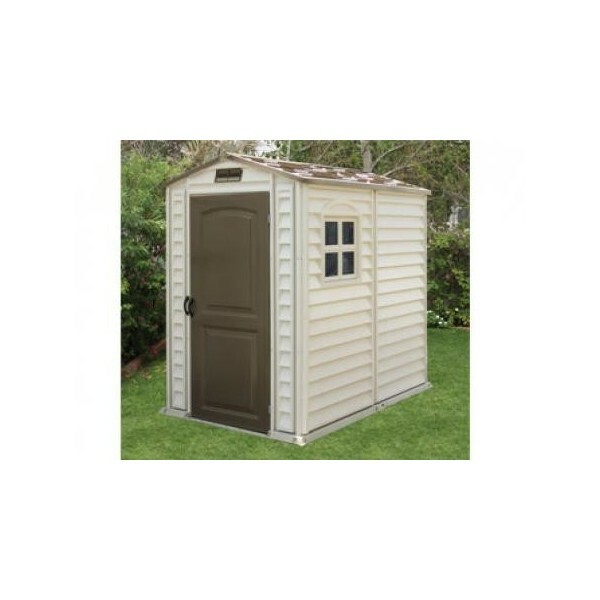 It's accented with a wood grain brown door and wood like shingle roof. 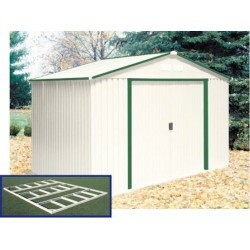 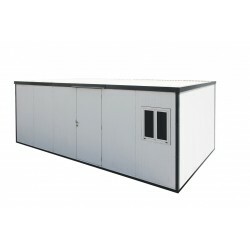 It features a complete solid reinforced vinyl floor that eliminates the need for building a foundation. 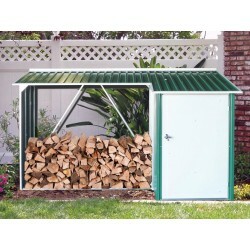 The assembly is very simple and requires only a few household tools. 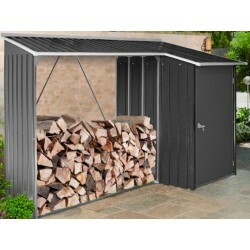 The wall columns are reinforced with solid metal for added durability. 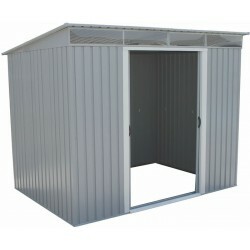 Includes two vents, one in front and one in back!